Are all marketing firms the same? Not necessarily. To find the right marketing firm for your web site you may want to look beyond just some web design skills. Marketing companies can provide very different types of services, so it is important to choose the right firm based on your specific company needs. Strategic planning – this service will help you to align your marketing strategy with your business plan to make sure you achieve your revenue and profit goals as well as improve brand awareness and customer penetration. SEO – increasing your search engine rankings with SEO can greatly help the number of visitors to your web site and bring you qualified leads that result in greater conversions. Social Media – leverage channels such as Facebook, Twitter, YouTube and others to drive more traffic to your web site and promote brand awareness. Content Management – enrich your content with entertaining, insightful and informative content that can be utilized on your web site, in blogs, social media, white papers and more. Web site design – make sure your web site visitors get the most out of their experience by presenting the best first impression possible along with superior content, provoking graphics and easy navigation. Inbound marketing – rolling the above marketing services into a comprehensive and synchronized strategy can yield even greater results that just picking one type of marketing initiative. 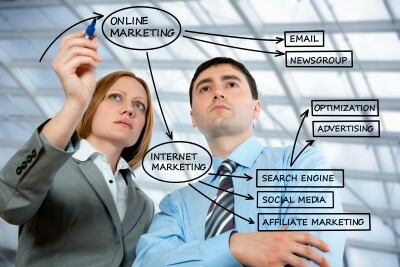 To increase your chances for real online success consider utilizing a marketing partner with inbound marketing skills. Seldon Marketing can be the ideal marketing firm partner for your online business initiatives. We offer comprehensive marketing services for the smallest projects or for large enterprise solutions. For more information please call us directly or click the button below and we will contact you. Thank you.